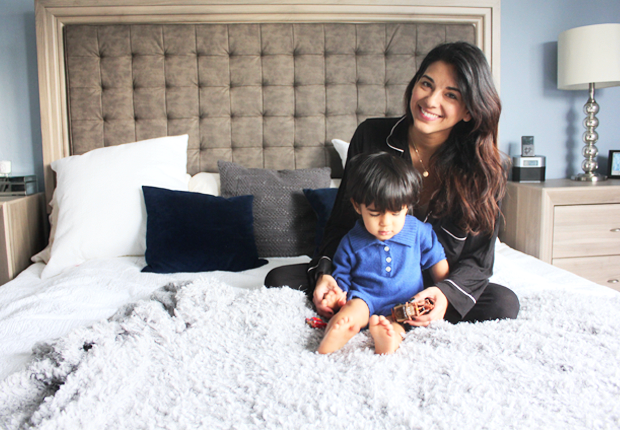 I am excited to share with you a peek into our bedroom makeover as part of our Home Makeover Decor series. We’ve had a platform bed for almost 7 years since we bought our house, but after having our son we’ve been on the hunt for a more kid-friendly bedroom set. You see, every time he would jump on our bed he’s been so close to hitting his head with the sharp edge of the headboard. Ideally I wanted to find a bedroom set that had a cushiony headboard. 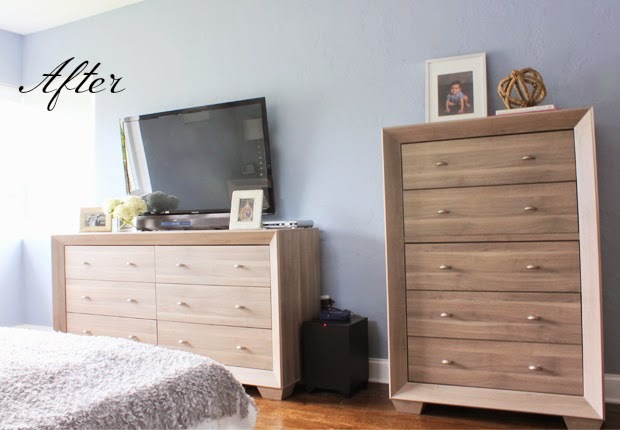 We found this bedroom set from American Signature (in case you’re from the Northeast and Midwest, they’re called Value City Furniture) and we immediately feel in love. 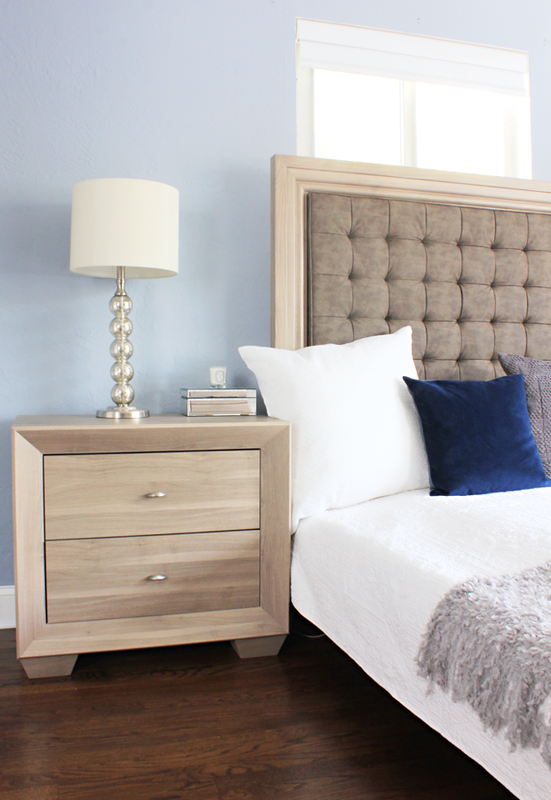 It’s called the Sienna Collection and it has a tufted headboard, which is just what we were looking for. The fabric is super soft and we don’t have to worry about our little guy hitting his head. It was also very budget-friendly! We also wanted to move away from the dark "wengue" color, which made our room look dark and gloomy and instead we went for this light "birch" finish. The nightstands from my previous bedroom set were also so low to the ground my toddler would always try to pull on the lamps. Talk about having little mini heart attacks every time our little one would come into our bedroom—-eek. 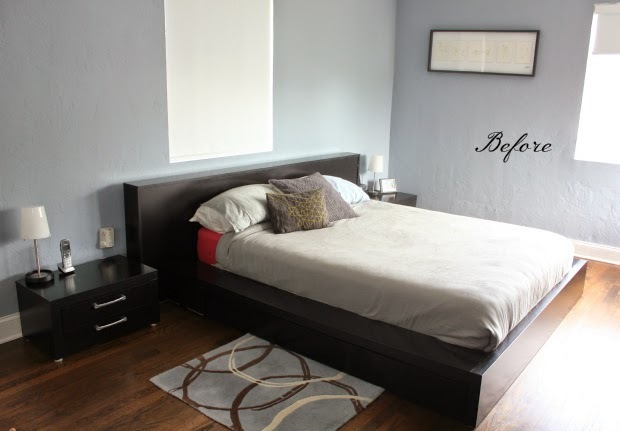 These nightstands are much taller with this bedroom set, so we don’t have to worry about this problem. We also upgraded to a grown-up King size bed, which has made a world of a difference. God, I don’t know why we hadn’t done this sooner. It’s perfect for Saturday mornings when our son and our dog, Scrappy jumps in bed with us haha. For the decoration we wanted to keep things simple (my husband is very much a minimalist when it comes to decorating). 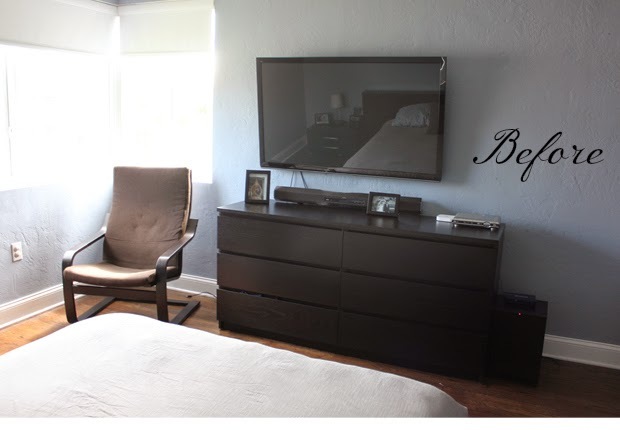 We added some picture frames (I always love having family pictures in our bedroom), books and also fresh flowers, which always adds the perfect finishing touch. Our bedroom set is also so calm and relaxing sometimes I’ll bring my laptop in bed and try to get some work done. I mean, just look how productive I look— haha. I created a Pinterest Board with all the picture above, but you can also shop the links below. 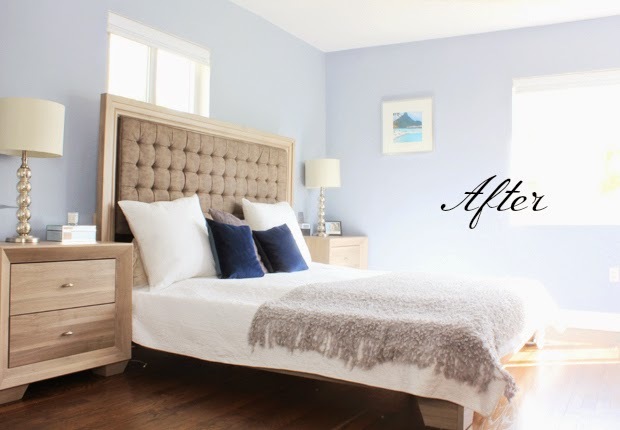 So there you have it friends, my master bedroom makeover. I think I might head over there right now. *This post is brought to you in collaboration with American Signature. Carmen, I smiled the entire time reading this post :) God bless your family. I love what you've done with the room. I've been thinking of how to decorate our studio. It's so tricky with such a small space. Love the whole decor and the change in furniture! 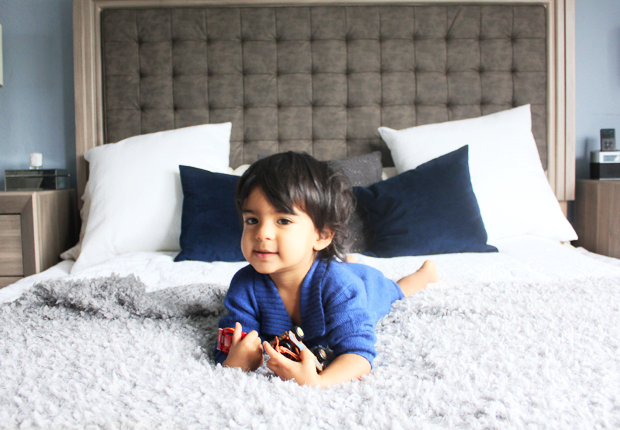 Love, love that bed! Looks great!